As the cloud continues to disrupt traditional IT service pricing, partners need to explore a variety of pricing models to increase predictable, recurring revenue, margins, and profitability. In my last blog, The Win-Win of Value-based Pricing Strategies, I touched on six different pricing models. None are a silver bullet for all partners, but value-based pricing is quickly gaining traction in the market and worth a closer look for its promise of persistent, long-term revenue growth. Value-based pricing focuses on the customer’s perception of the value of the service, not on service costs. You’ll still need to establish your baseline, your costs to deliver the service, but the rationale for pricing is not tied to your costs. In fact, it’s rarely productive to get into a discussion of your costs. Instead, you need to focus on the customer value. This discussion is about how the customer perceives the value of what you can offer. You know intrinsically the value of your organization. It’s the in-person services you provide; the intellectual property that gets bundled with your services; and how you charge for your services and IP. Yes, your pricing is part of your value. The price you set should further customer relationships and create long-term value. It requires gaining visibility into the customer organization and understanding of the TCO (total cost of ownership) and ROI (return on investment) of the service from the customer perspective. It flips the model from your requirements as the IT service provider to the customer’s requirements and relies on you to build service configurations that maximize their business outcomes. The cost of owning, implementing and managing the service themselves. The cost of competing services. The functional utility and benefits associated with the features of the service. The perception of the value of your company and brand. 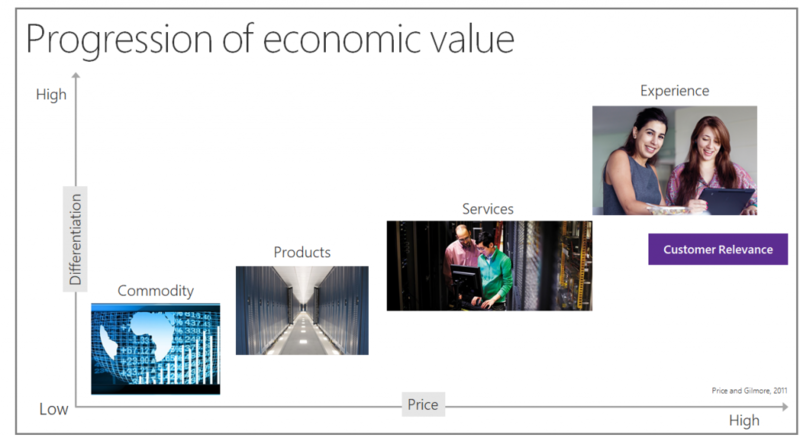 Situational value – time horizons, internal resources and capabilities, and the problem the solution addresses can affect value perception. At this point, you could be telling yourself that this all sounds very complicated and imprecise, and you’re essentially right. When you sell something as a service, the price is traditionally based on some sort of usage metric. That’s why per-device and per-user pricing is easiest to implement and most common. But that ease of implementation may not outweigh the risk and potential harm caused by locking your practice into a commodity-based pricing model. Your customers have different needs at different levels, and it’s very hard to apply per user/device pricing to accurately reflect the value delivered to one customer versus the next. Even if you use a tiered pricing system or à la carte, the customer has options to choose from and will tend toward the cheapest option rather than the most appropriate. There’s always pressure to lower usage-based pricing and it becomes easier for your customers to play you against your competitors. It’s also harder to increase your margins. Understand your customer personas (the people in customer organizations with whom you need to build relationships and how each perceives their needs). Survey your current customer base (understand how they perceive the value you bring and what would make it more valuable). Understand the customer lifetime value or the ability to continually add value through ongoing usage and renewals of your services. Define your value metric (how you will charge) and align the metric with your customer’s needs. Look for patterns in your data with an eye for potential tiers and package bundles. Factor your risk – some customers require more extensive SLAs which carry greater risk. Your pricing should reflect that risk. Constantly review (your customer base evolves and so must your pricing). That last point is important. Your goal is to do more than collect a fee on a prescribed cadence. You are in a position to become a trusted advisor (which also adds value) by finding new ways to assist, which leads to greater revenue and more perceived value. Use your sales and marketing expertise to truly understand a customer’s needs, and as needs grow, so should your margins. Your price should be based on the value of the service, the potential cost to the customer of not implementing the service, and the potential future needs (your latent value) as the customer’s business evolves. Once you understand how customers value your service alternatives, you’ll be better equipped to arrive at prices that they are willing to pay and make user-focused decisions throughout the service implementation. The main thing to remember in value-based pricing is that you are not putting a price on a service. You are pricing the customer and the customer’s needs, and each potential customer’s situation can differ widely. Using this strategy, it’s impossible to answer a simple question about a service’s cost without first understanding the personas and needs of those asking the question. Answering that question too soon, before you have adequate knowledge, is a sure way to underprice your offer. Once you have a handle on needs and determine the scope of work and/or options, you’re in a much better position to communicate your value and put together an offer that is profitable to you and valuable for the customer. To enable you to accelerate your cloud practice as you build out your pricing and value-added approach, check out Cloud Practice Development Playbooks. For more on financial models, value models, and our Partner Profitability blogs, check out Cloud Profitability Scenarios. Connect with the Microsoft Partner Community for more tips on how you can deliver value to your customers and grow your business.